How To Plan The Perfect Cocktail Party! Cocktail parties are the perfect way to invite all of your friends over to your house for food and drinks in a fun, potentially themed environment. Depending on the occasion, cocktail parties can be an easy, low-key arrangement that does not have to involve too much planning. 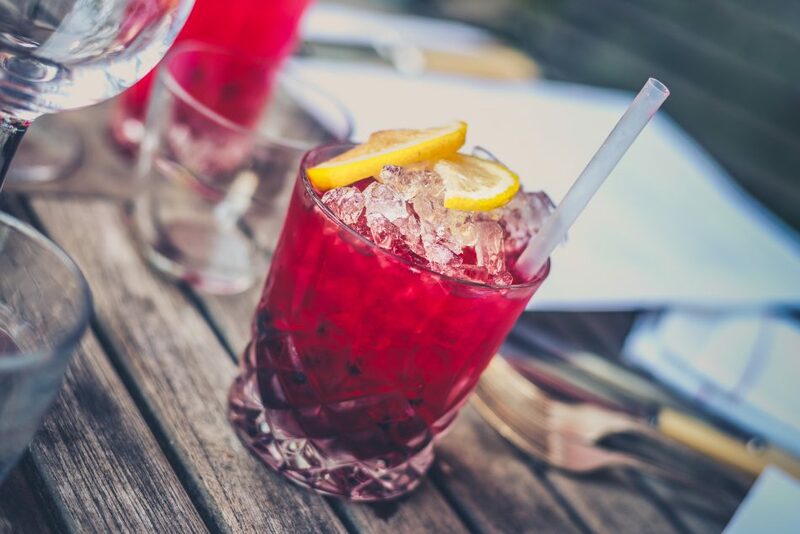 However, choosing the right drinks is key to a good cocktail party and can be the deciding factor on whether you hold an amazing, unforgettable night or whether it was just an average get together. There are many fun occasions that suit a cocktail party, from a stag or hen party, birthdays, anniversaries and Christmas to a themed party, and Mambo can bring our expertise to you with a cocktail masterclass. When you have a fun packed evening planned, you do not want to have to worry about ensuring there are drinks available to suit all guests. At Mambo, we can bring a bit of flair with a personalised cocktail menu. We can also add to the atmosphere with choices including our vintage steamer trunk bar hire or our Italian light bar hire, which comes complete with in-built coloured lights. As we have many years’ experience in creating memorable parties we thought we would put together our checklist on how to make sure your cocktail party is unforgettable. For a large cocktail party, invite 10-20 % more people than you can fit, typically only 80 percent of invitees attend. Make, buy, or borrow any decorations or music you may need to fit your chosen theme. We can take care of your bar service and all of your drinks so you can party and enjoy yourself with your guests, plus no washing up! Assemble the recipes (choose only those that can be prepared in advance, perhaps even frozen, with just warming and assembling required on the day of the cocktail party). Make a list of how far in advance each dish can be made, and compile a shopping list. Place an order with your local shops. Arrange the furniture as you’ll want it for the party, making sure that guests can move easily from one part of your house to another. Designate a coffee table or side table for coffee and dessert, if you’ll be serving them. Tuck away things that will be in the way, precious items that might get broken (or even be taken), and any clutter. Do you have an upcoming occasion that requires mobile bar hire? We would love to hear about your plans to see how we can help you create an amazing event. Just click here to get in touch.